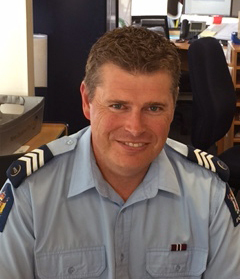 The Auror HQ team sat down for a Q&A with Sergeant Matt Murray from Waitemata District Police to chat about an important issue for retailers: issuing trespass notices that hold up in court and get results. Q: Hi Matt! First things first: what exactly is a trespass notice? A: Thanks for having me. A trespass notice is a letter that prohibits a person from entering a certain location for a set period of time. In the context of shoplifting and retail crime, retailers use trespass notices to keep offenders out of stores where they have been caught shoplifting. It’s both a penalty and a deterrent for criminals. Stores meanwhile get a little peace of mind that they hopefully won’t have to deal with that person coming back for a while. Q: What happens if an offender knowingly violates a trespass notice? A: If an offender has been issued with a legal trespass notice and intentionally violates it, they’re open to some pretty serious legal charges. For example, if they return to a store they’ve been trespassed from and steal again, now they’ve opened themselves up for burglary charges rather than simple theft, and the penalties are much more severe. Q: How common are trespass notices? A: The answer depends on the store or business—all have different policies about issuing trespass notices and who can issue them. But I would say that it’s getting pretty common, especially at larger multi-site retailers with many locations. Q: We’ve heard a lot about blanket trespass notices lately. What are they? A: A blanket trespass is a more comprehensive version of a standard trespass notice. Where a regular trespass notice covers a specific store for a set period of time, a blanket trespass forbids a person from entering multiple locations that have a common connection, like being part of the same company, or part of a larger shopping centre. For example, a blanket trespass would be when an offender is apprehended shoplifting from a specific store in West Auckland, and then trespassed from all Auckland stores of the same retailer. In theory they really help a retailer keep offenders out of stores, but in practice they’re difficult to enforce and the courts often find them invalid. Q: Why are blanket trespasses being invalidated? A: Courts can find widespread bans to unreasonably restrict a person’s free movement. In order for a blanket trespass order to be considered justified and legal by the court, it’s necessary for the issuer to show that a person is reasonably likely to trespass at each and every location listed in the blanket trespass notice. In my experience this is extremely difficult to prove to the satisfaction required for a successful prosecution. There are circumstances where blanket trespass orders may be held as lawful, however I strongly recommend retailers and loss prevention officers seek legal advice prior to issuing blanket orders to ensure they are justified and likely to hold up in court. Q: What should retailers be doing instead of issuing blanket trespasses? A: Issuing an individual trespass notice to offenders for a single location is still justified and proper. Police continue to support using them as an alternative to blanket trespasses, as they are more readily enforceable and likely to hold up in court. By working together on this issue to ensure we are all following correct legal procedure we can continue to produce successful outcomes with our partners in the retail community, and enact useful deterrents that help prevent future crime. Handy Tip: It’s easy with Auror to identify stores where an offender has a history of theft so you can include those locations in a trespass notice. Be sure to check out an offender’s profile to see where they have previously been observed as active so you can include those in the trespass order.